Do you feel like you week goes by and you are wondering what you actually accomplished? Do you feel like you struggle finding time to work on the things you want to do? Do you wish you could have systems in place that make your life and business more efficient? 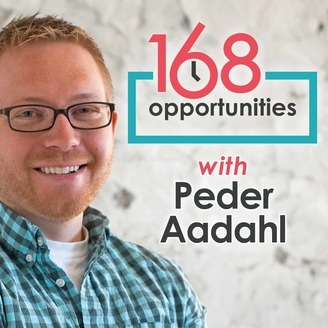 168 Opportunities is about maximizing the time that you have every week. It doesn't matter who you are, we all have the same amount of time every week, 168 hours. So the question is, what are you doing with that time? This podcast is all about helping you maximize that time, accomplish the work you want to get done, all while having a life in the process. 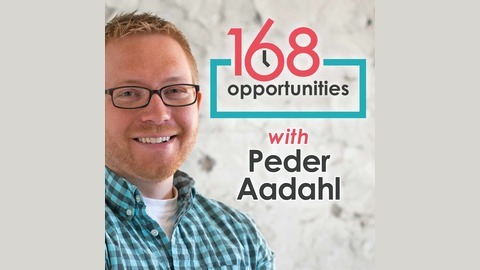 In this episode, we give an update on the aftereffects of Mark Zuckerberg appearing before Congress and the effect on Facebook marketing down the road. However, we primarily discuss the importance of determining your desired outcome in your marketing before any campaign is ever launched and the importance of not chasing the new shiny object. The post Determine the Outcome – Then Start Marketing – 110 appeared first on Peder Aadahl.